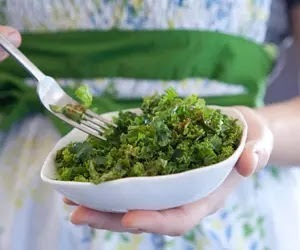 The key to this salad is finely chopping the kale leaves. The chili powder and lemon allow the kale to taste fresh and give it that extra spice of flavor. In a large bowl, whisk together oil, lemon juice, chili powder, and salt. Add kale, toss to combine, and serve. Buy lettuce that is crisp and free of blemishes.